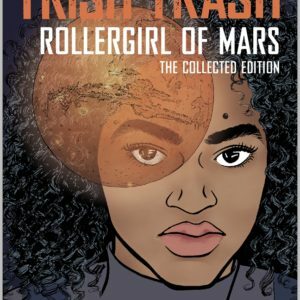 The last chapter in the Trish Trash trilogy! 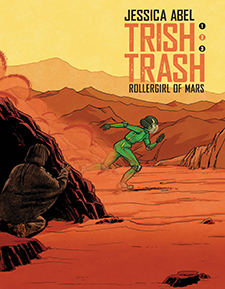 After meeting the indigenous Martian, Qiqi, Trish Nupindju’s life changes forever. 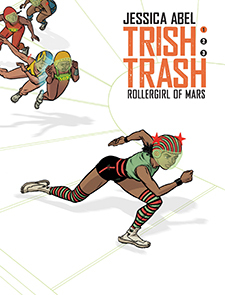 Qiqi has taught her to skate on terrain, helping her immensely on her hoverderby (a futuristic roller derby) team. She has also introduced a new way to harvest the moisture essential for life on Mars. But the suits at AREX are watching and they are not pleased. 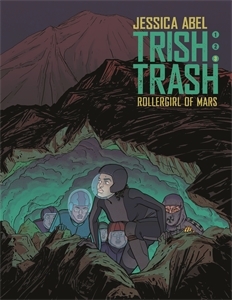 Trish’s innovations could cause irreparable damage for everyone in her life-including her team and family!